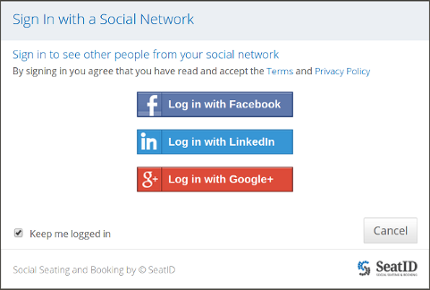 Social Login AKA Social Sign-in is a convenient and fast way to sign in on to websites and applications without the lengthy sign-up procedures of filling out annoying, multiple question forms and setting up yet another password. Among desktop users, facebook is the absolute market leader, powering more than 51 percent of all social logins in North America. Google+ is the second most popular service with 31 percent in North America. Trailing facebook and Google+ are Yahoo with 15 percent and Twitter with 3 percent. Among Mobile users, facebook has a larger lead, with 62 percent of logins, followed by Google+ with 26 percent, Twitter with 6 percent and Yahoo with 4 percent. Overall, the North American market mirrors the rest of the world’s stats, where facebook leads with 53 percent, followed by Google at 28 percent and Yahoo at 13 percent. The exception is APAC, where Google+ is far behind local services such as QQ and Sina. If your company has not implemented social login on it’s website yet, what are you waiting for? Where social proof can come in to save the day?